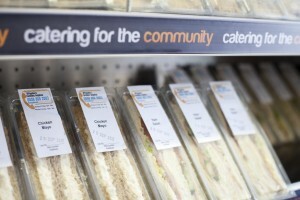 POPS’ 2ndChance is a café and catering employability project based in Manchester. Apart from a small team of paid staff, 2ndChance operates due to our large cohort of dedicated and enthusiastic volunteers. These volunteers consist of people from within the local community and most importantly ex-offenders and offenders. We work closely with the Prison and Probation Service to facilitate the involvement of offenders on temporary license in the community and to arrange for offenders on Unpaid Work orders to complete their hours with us. 2ndChance is driven by the aspiration to empower offenders to enjoy and achieve positive outcomes in their lives. We do this by creating opportunities to gain meaningful employment experience within a safe and supportive work environment. We carefully train, mentor and guide our volunteers to make sure they gain as much as they can during their time at 2ndChance. Any profits we make are reinvested to support work that meets the diverse and complex needs of offenders and their families. To book a 2ndChance buffet or to hire the meeting room at The Book Club (Prestwich) please download and complete a 2nd Chance Booking Form.